For centuries, ginger bao (broth) has simmered in kettles across Asia. 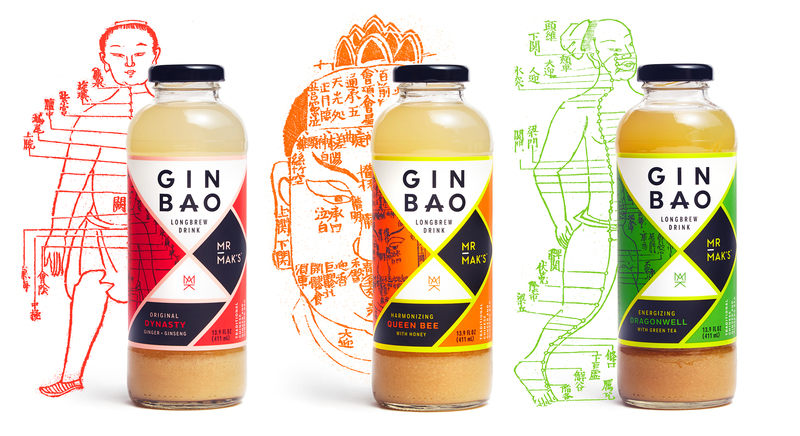 It’s the base for nearly half of Traditional Chinese wellness drinks, but it’s never been bottled…until now. 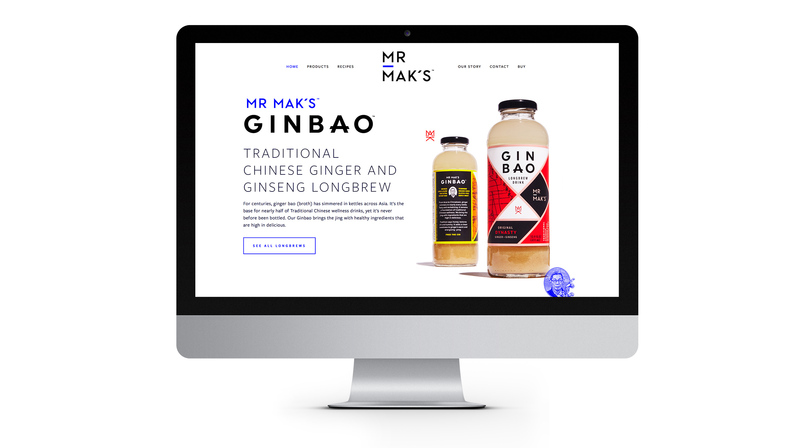 Mr. Mak’s, a New York-based startup, is introducing this intensely spicy drink to American consumers. 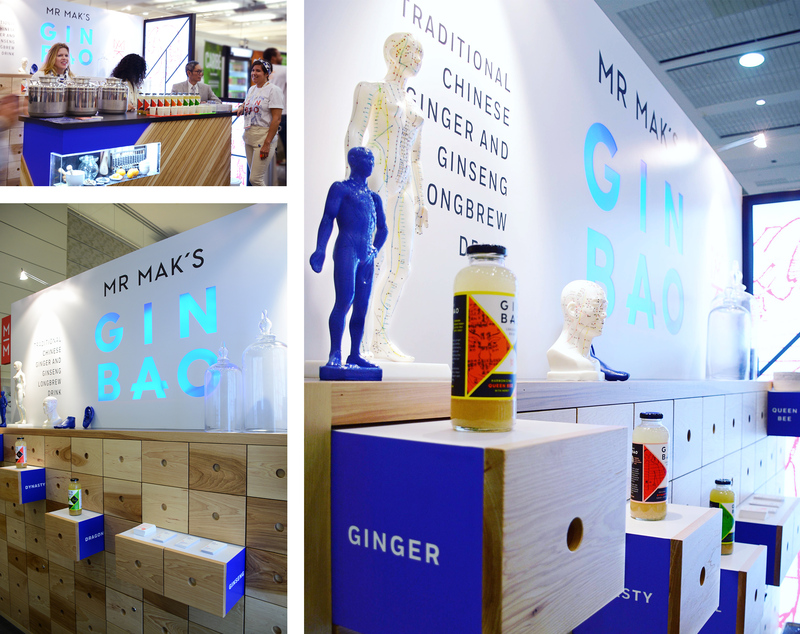 Organic, gluten-free, and low in sugar, Mr. Mak’s Ginbao supports healthy digestion and a strong immune system. 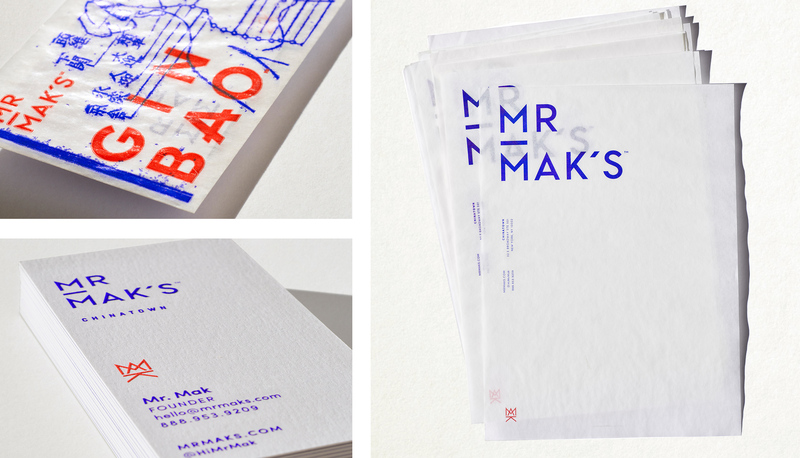 We developed a comprehensive brand identity for the launch product (Mr. Mak’s Ginbao) as well as for the company (Mr. Mak’s). We collaborated with writer & strategist Julie Kucinski to bring the brand voice to life. 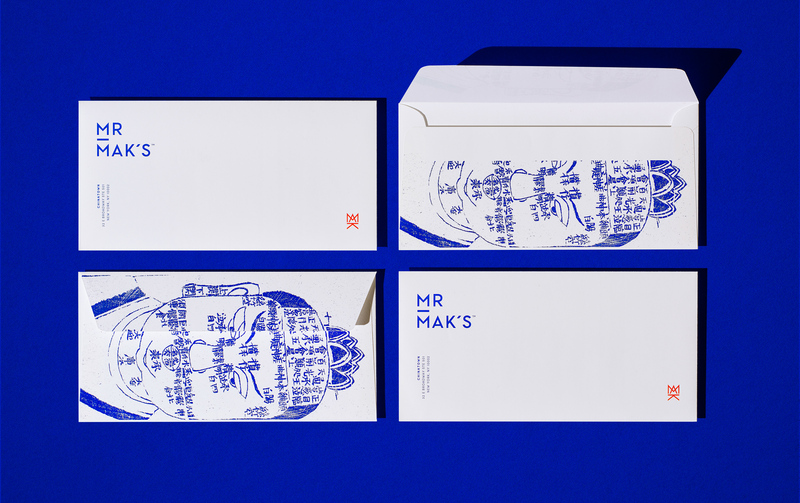 Our label design for Mr. Mak’s Ginbao is partially inspired by the tangram―another Chinese invention that has made its way into the western world―with a dose of Qing Dynasty meridian charts and a nod to vintage Chinese medical packaging. This mashup of old and new, modern and traditional, and Asian & Western plays out across the entire brand. 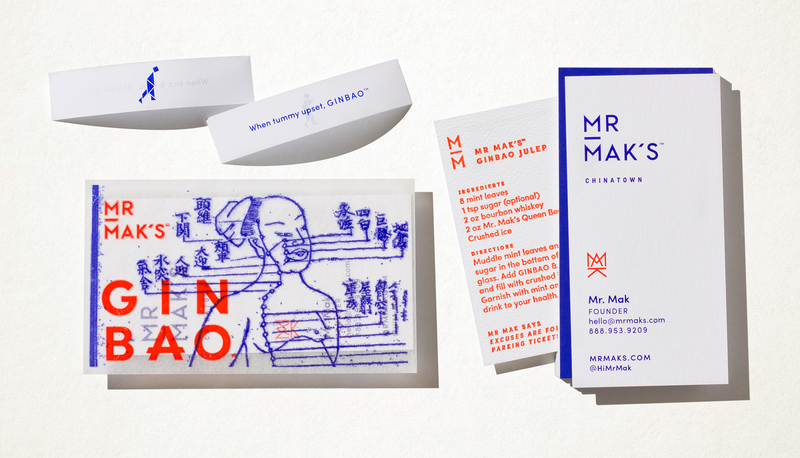 We limited the colors to a neon red and a porcelain blue for Mr. Mak’s corporate identity. Mr. Mak’s exhibit booth debuted at Natural Foods Expo East 2016. Custom build by the awesome people at Exhibit Partners.